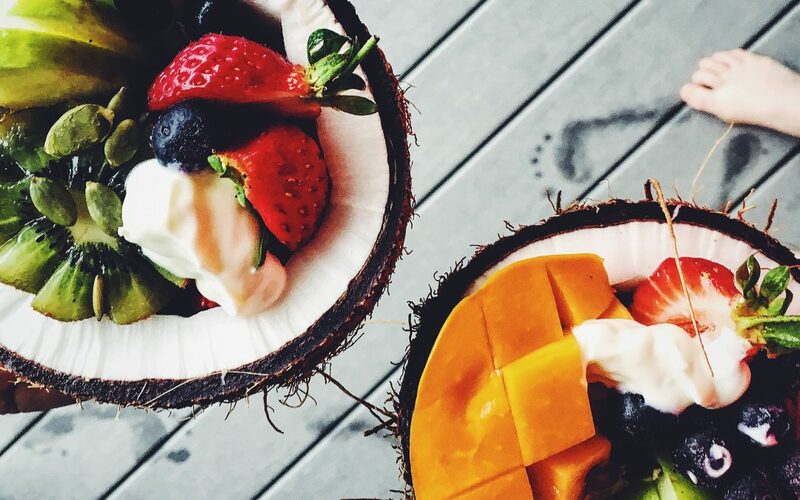 The easiest breakfast that never gets old: cut fruit in a coconut 🙂 Eating breakfast like this makes me feel like I’m on a tropical island when really I could be stuck at home on a rainy day! NB: You can use any fruit bowl to put fruit in – or mix up the fruit and toppings, this is totally a mix and match and use whatever fruit and berries/toppings you desire breakfast! !